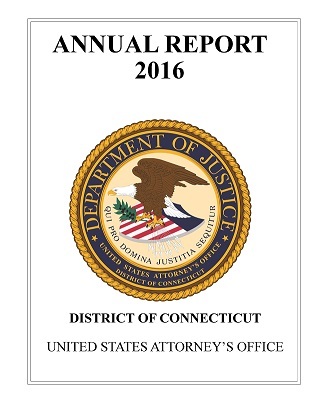 John H. Durham, United States Attorney for the District of Connecticut, Shelly A. Binkowski, Inspector in Charge for the Boston Division of the U.S. Postal Inspection Service, and Michael J. Ferguson, Special Agent in Charge of the Drug Enforcement Administration for New England, today announced that PETER CEPLENSKI, 47, of Essex, waived his right to be indicted and pleaded guilty yesterday in Hartford federal court to using the dark web to acquire and distribute various controlled substances. According to court documents and statements made in court, an investigation headed by the U.S. Postal Inspection Service and Drug Enforcement Administration revealed that CEPLENSKI used the dark web to buy and sell various drugs. On September 6, 2017, investigators searched a package containing approximately 1,000 alprazolam (Xanax) tablets that was being mailed to CEPLENSKI. On September 7, CEPLENSKI was arrested on a federal criminal complaint after investigators delivered the package to his residence. On that date, a search of the residence revealed approximately 500 tablets that CEPLENSKI believed contained fentanyl, and a second package containing approximately 1,000 alprazolam tablets. CEPLENSKI admitted that he had shipped a quantity of fentanyl powder to another individual who had the ability to manufacture pills, and who then shipped fentanyl pills back to CEPLENSKI. The seized pills that CEPLENSKI believed contained fentanyl actually contained no controlled substances. After CEPLENSKI’s arrest, law enforcement officers seized two additional packages as part of the investigation. One package contained what CEPLENSKI believed were amphetamine pills but were, in fact, pills that contained methamphetamine. The second package, which had been mailed from Pakistan, contained what appeared to be 61 oxycodone tablets. A lab test of the pills confirmed that they contained heroin, not oxycodone. CEPLENSKI pleaded guilty to one count of conspiracy to possess with intent to distribute, and to distribute, oxycodone, methamphetamine, fentanyl and alprazolam, an offense that carries a maximum term of imprisonment of 20 years. He also has agreed to forfeit $40,642.25, and multiple laptops, iPads and iPhones that were seized from his at the time of his arrest. CEPLENSKI is scheduled to be sentenced by U.S. District Judge Vanessa L. Bryant on April 4, 2018. He is released on bond pending sentencing.